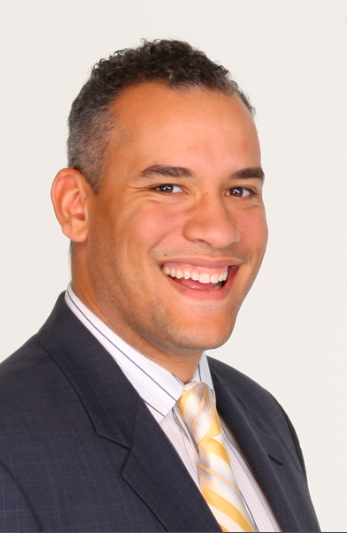 Doug Melville ’98, chief diversity officer, North America, for TBWA Worldwide, will visit the Newhouse School on Thursday, Feb. 20, as a guest of the advertising department’s Job Market Speaker Series, part of the Eric Mower Advertising Forum. He will speak on “The Future of Advertising is YOU” at 6:30 p.m. in the I-3 Center, 432 Newhouse 3. Prior to joining TBWA, Melville was founder and CEO of Red Carpet Runway. He previously served as president of ZMagic and vice president of business development and marketing for Magic Johnson Enterprises, developing online, nontraditional and branding strategies for the Magic Johnson Brand, his New York Times best-selling book and his portfolio of partners. Melville was founder of the marketing agency Off The Bench Marketing, and has worked to develop branding opportunities for Britney Spears, Jennifer Lopez, Maxim magazine and Tommy Hilfiger, as well as for MTV’s “Punk’d,” “Newlyweds,” “Pimp My Ride” and the USA Network’s Emmy Award-winning “Monk.” In 2005, Melville developed strategies for the two largest U.S. network re-launches, MTV2 and the USA Network. Advertising Age magazine voted Melville one of the industry’s “Top Twentysomethings in America” in 2003 and featured him in its 75th Anniversary Issue’s “Next Generation Redefines the Ad Model” in 2005. His talk is free and open to the public. For more information, contact Karen Greenfield at 315-443-2304 or kegreenf@syr.edu.